I do not know any of the Staff Members. I had some administrative experience from Minecraft Servers, Garrys Mod Servers, and Discord. So I know what to do if a player is breaking the rules. I have heard of TF2SwapShop for awhile from being a TF2 Player, and I also hear there is some players who just like breaking the rules or just plain annoying on purpose. I feel like if I got the position, I can help administrate the servers (as I am online on my PC alot nowadays). I would spend as much time as possible on the servers if needed some staff. Also I am a click away on Discord and Steam. If needed I will spend at least an hour or two on the forums each day if possible. To make sure there isnt any player reports or bug reports. Played on the server for about 2 years. I do not own any alternate accounts. If the person is purposely acting against the punishment and making the statement sound harder to understand than it should be. My strengths are players behaving and following the rules if needed. Though my only weakness is dealing with immature players who throw threats and other actions towards the staff members. Mute the person. Being racist on purpose is not okay. If they continue from DM or anywhere else. Then I would ban them. Depending on the remarks, if it is offensive I would ask the player to stop. If its not offensive in anyway, I would ask the group of players to chill. I would ask everyone to stop, if they continue then I will probably completely turn off the global voice chat if possible. I would record proof of that admin and report it to the higher rank. As if I am admin aswell as the abusing admin I will probably not have the power to punish the abusing admin. If the report contains proof of some kind, I will punish that hacker. If its an invalid report, I will ignore the reported player and ask the person reporting them to please specify valid proof. I would tell that regular user, "leave the staff to it, its not your job, you can aswell get in trouble impersonating staff and threatening another user that may be innocent". I would first ask the player, "Why are you only targeting me?" in a calmly matter. Then if they give like "unfair staff" or something like that, I will ask them how I am being unfair. If its just "normal targeting for fun" then I will let it slide but if the reason of "unfair" staff is a lie, the player will have a chance of a punishment due to not being honest. I would say first, "Welcome to TF2, dont like it here? Best that you leave" and if they continue I will mute them in the mic. If they still continue from chat or from DMs I will offer a complete ban thats either in a certain duration or a permanent ban. I would punish the regular player by the specified duration of either a mute or a ban. Most likely a ban if the player is acting more like a hacker. I would say this, "Welcome to TF2, where players kill players and have fun!" or somewhere around that. Then if they keep fighting about it I will explain in depth what TF2 is and why they shouldn't argue. An admin thats using their powers just for fun thats making it unfair for the player. Can you please make your steam games public to view? As well as your inventory? L E W D S .
If the person is purposely acting against the punishment and making the statement sound harder to understand than it should be." Can you elaborate on your answer to this question? I'm not sure that I fully understand the wording. 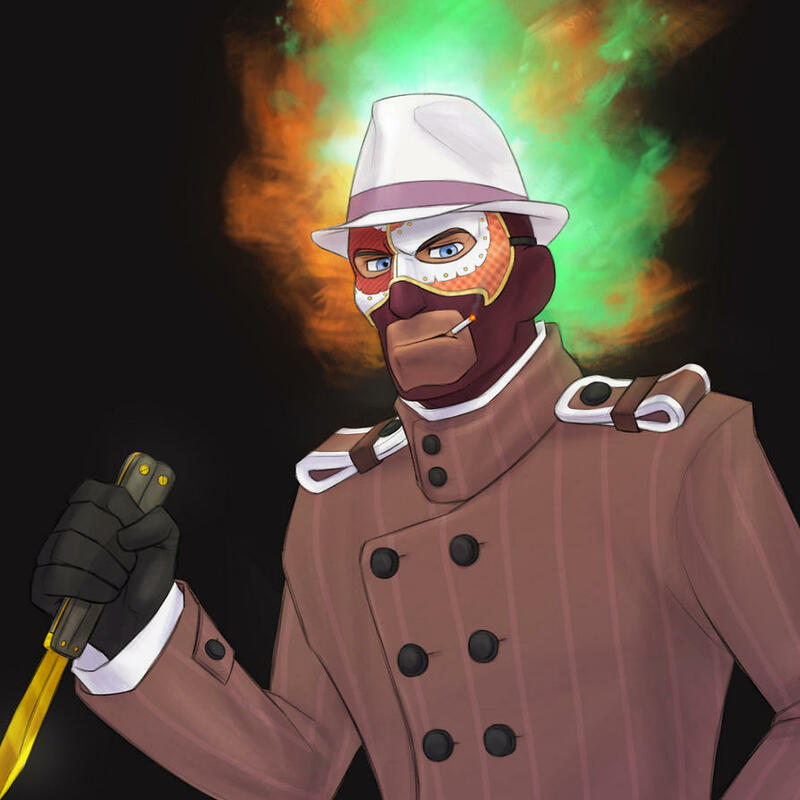 Thank you for taking the time to apply for TF2SwapShop administration. We regret to inform you that our staff does not believe that your application satisfies our standards for server administration for the moment. Unfortunately, we must decline your application. If you are still interested in a server administration position here, you may submit a new application and reapply after 3 months have passed (01-07-19). We encourage you to use that time to revise and improve upon your application.